With Orderhive's FTP integration, you can connect your warehouse's server or any other third-party server to enable easy import and export of data. 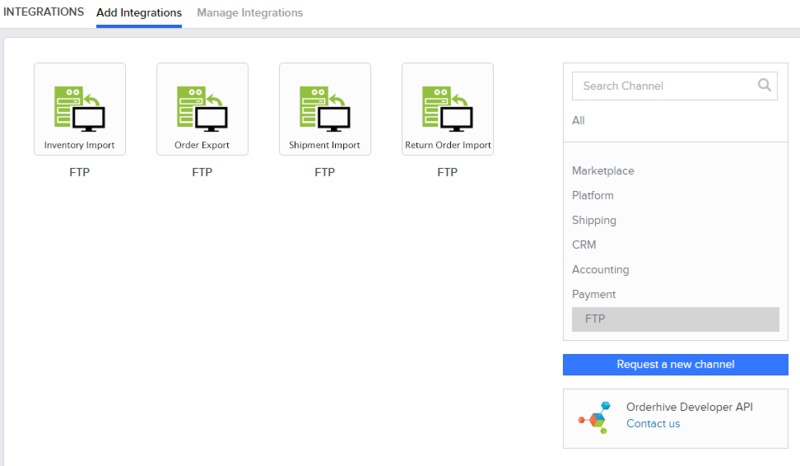 If you’re using Orderhive, FTP integration is particularly helpful when the channels you use don't integrate with Orderhive or APIs are not available to connect two systems/providers. FTP integration also works wonders when you intend to transfer files between your fulfillment center and Orderhive. To use any of the above integrations, go to Add Integrations page. Under FTP category, you’ll find these integrations. You’ll need to provide some server information, preferred format (.json, xml), and other details. Orderhive will start transferring files once you’ve submitted all details.